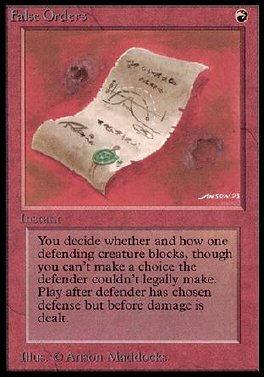 Play False Orders only during the declare blockers step. Target creature defending player controls is removed from combat. Creatures that creature had been blocking this combat are considered unblocked if no other creatures are blocking them. You may have the creature block an attacking creature of your choice.